The Gush Etzion Foundation was established in 1997 to assist and promote the communities and residents of Gush Etzion. Today there are 25,000 residents in 22 communities. 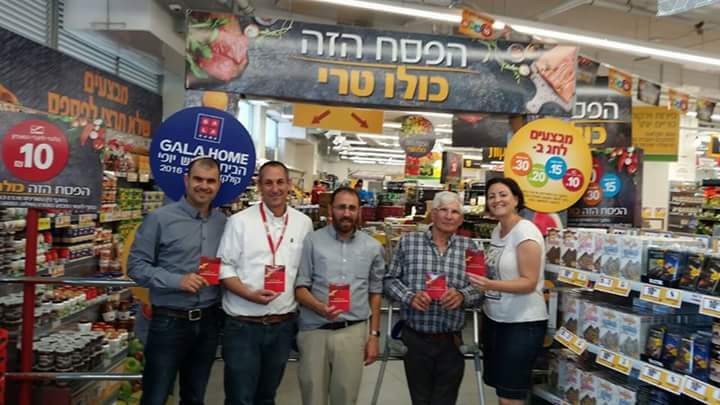 The Foundation raises funds to promote general education and special education projects, reinforce welfare, religious and security services and preserve the history and heritage of Gush Etzion. Our mission is to preserve our heritage, strengthen our communities and insure a strong future in Gush Etzion. We assist our communities in finding resources for: purchasing educational equipment, libraries, computers, assistance to needy families, medical assistance for the elderly, enhancing the quality of life for soldiers serving in the area, and more. The project that we would like to introduce you to is The Gush Etzion Foundation’s Medical and Charity Fund. For the past 18 years the Foundation has been supporting members of our communities who have had to cope with unexpected and taxing situations on a daily basis: illness, unemployment, terror victims that need emotional and physical intervention. Suddenly, people’s lives and homes are turned upside down, endless trips to hospitals, exhausting treatments, worries, expenses, etc. Life does not always go as planned. A sudden and unforeseen incident can sometimes bring down an entire family.